The little girl who pushed herself out of her wheelchair to cross the finish line at the 2013 Cleveland Triathlon on her own 2 feet is ready for her next big adventure – meeting with lawmakers on Capitol Hill. 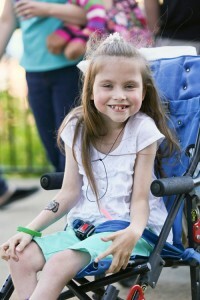 Madelyne Williams, 9, of Kent, Ohio, will represent Akron Children’s Hospital at this year’s “Speak Now for Kids Family Advocacy Day” June 24, sponsored by the Children’s Hospital Association. 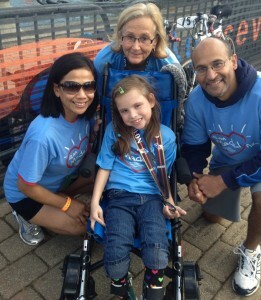 Two teams from Akron Children’s participated in the Cleveland Triathlon to honor a patient with cerebral palsy.